With a 5.125" satin finished drop point blade, stainless steel hand guard and pommel with cherry wood handles, the Lion Cub by Katz Knives will allow you to accomplish any of your daily cutting tasks at camp or on the hunt. The 5.125" blade is made from XT-80 stainless steel and hollow ground for excellent cutting performance. 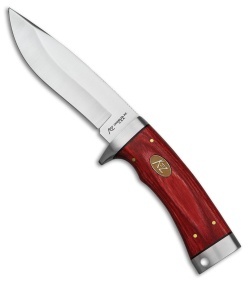 Contoured cherry wood handles provide fantastic grip, for total control in hand. Includes brown leather belt sheath for easy carry or storage. 5.125" XT-80 stainless steel drop point blade for excellent piercing and slicing capabilities. Cherry wood handle for a solid, reliable grip. 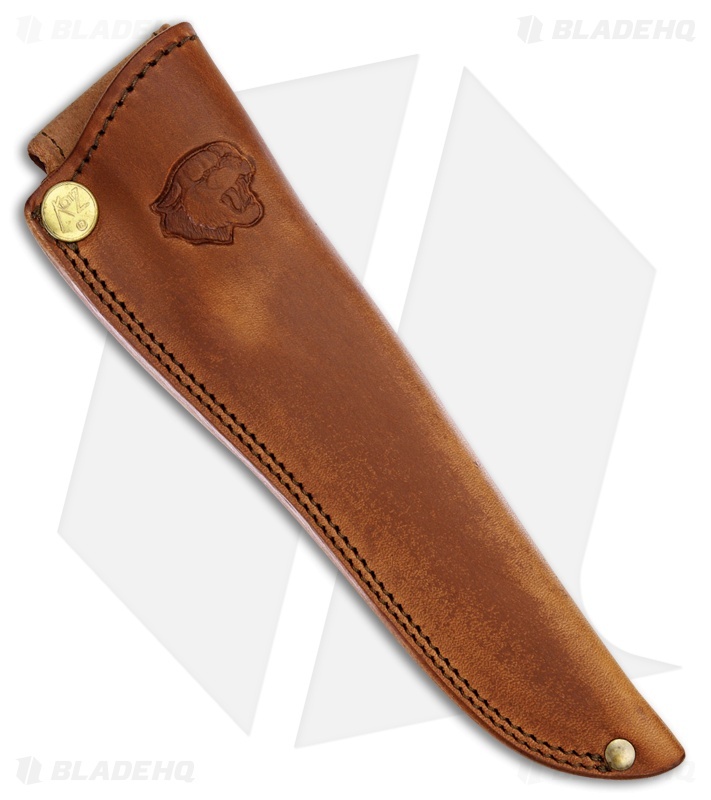 Brown leather sheath for easy carry.